Location. 29° 25.389′ N, 98° 29.846′ W. Marker is in San Antonio, Texas, in Bexar County. Marker is at the intersection of South Laredo Street and West Nueva Street, on the right when traveling north on South Laredo Street. Touch for map. Marker is at or near this postal address: 228 South Laredo Street, San Antonio TX 78207, United States of America. Touch for directions. (approx. 0.2 miles away); Barbed Wire (approx. 0.2 miles away); Spanish Governor's Palace (approx. 0.2 miles away); Moses Austin (approx. 0.2 miles away); Plaza de Armas (approx. 0.2 miles away); Still on Patrol (approx. 0.2 miles away). 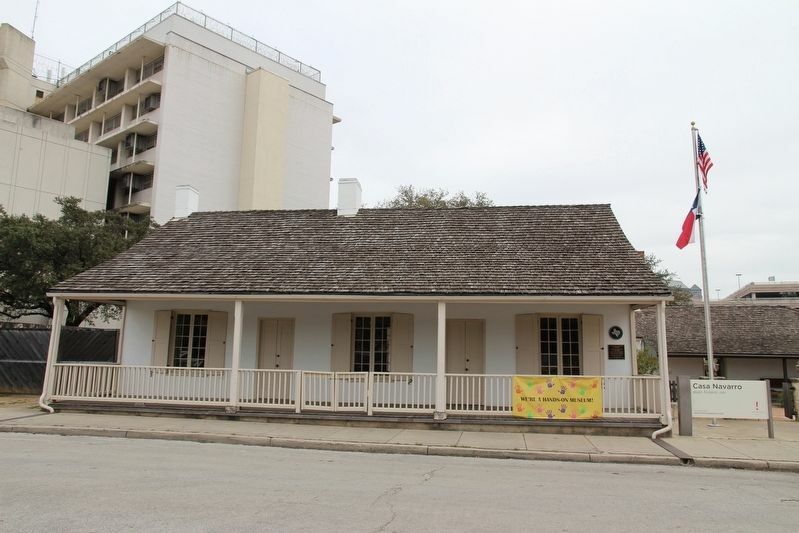 Touch for a list and map of all markers in San Antonio. More about this marker. 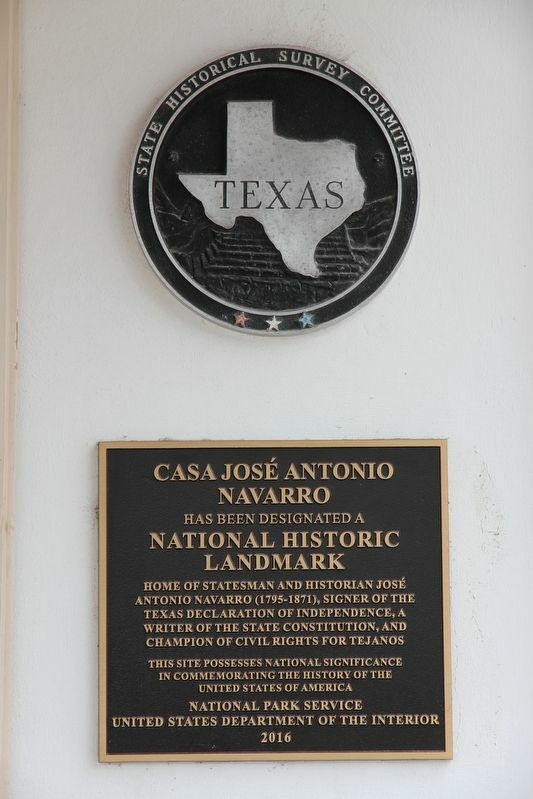 The Texas State Historical Survey Committee (predecessor to the Texas Historical Commission) designated the Navarro House to be a Recorded Texas Historic Landmark and placed a medallion without the usual accompanying plaque in 1962. More. Search the internet for Casa José Antonio Navarro. Credits. This page was last revised on March 20, 2019. This page originally submitted on March 11, 2019, by Brian Anderson of Kingwood, Texas. This page has been viewed 48 times since then. Photos: 1, 2. submitted on March 19, 2019, by Brian Anderson of Kingwood, Texas.